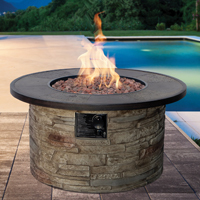 The Mondavi Firebowl is a fabulous addition to any outdoor living area! Its simple design will complement virtually any dTcor while providing you and your guests with a radiantly warm focal point for those evening get togethers. 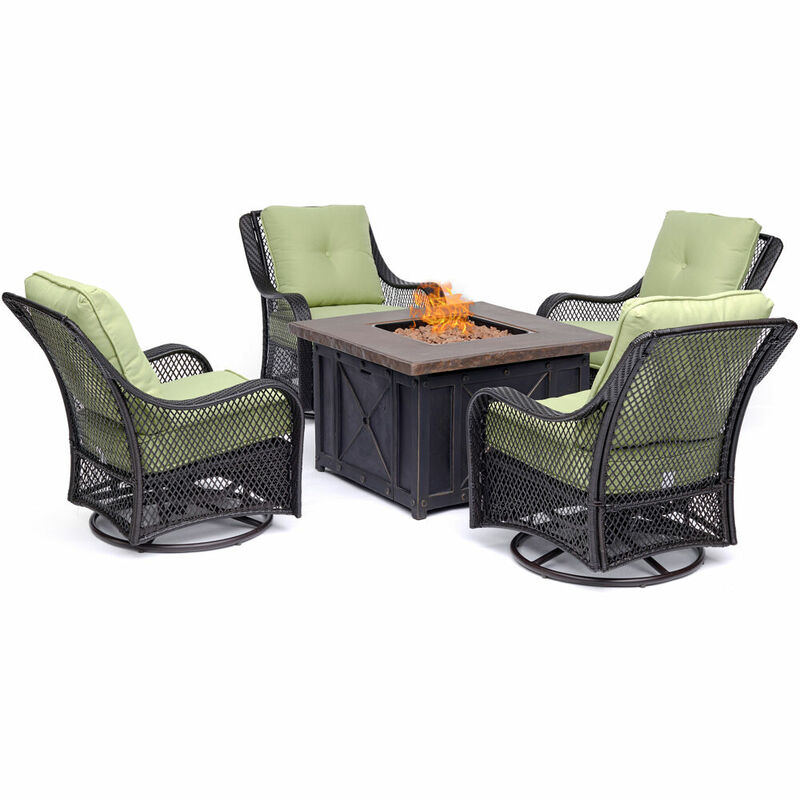 The Mondavi is sure to be a crowd pleaser. A collection that reflects the natural majesty of earth and time. 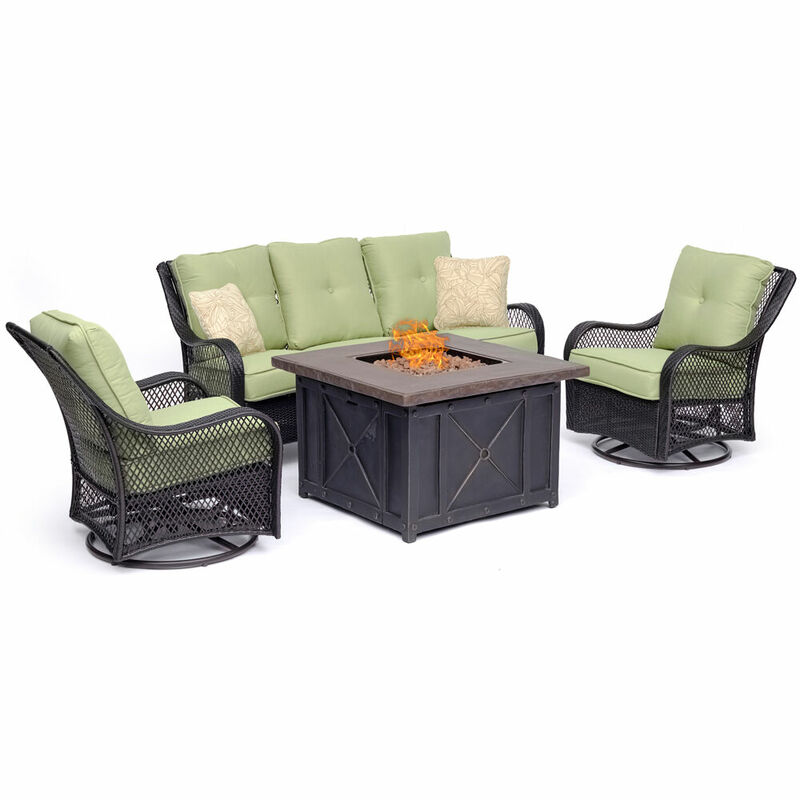 Layers of faux-stone replicate the look of sandstone and granite, bringing a robust elegance to your patio decor. 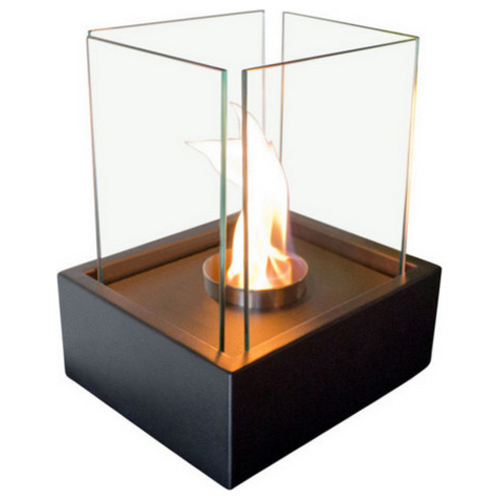 The Aurora Steel Gas Firebowl is perfect for intimate settings and equipped for portability. 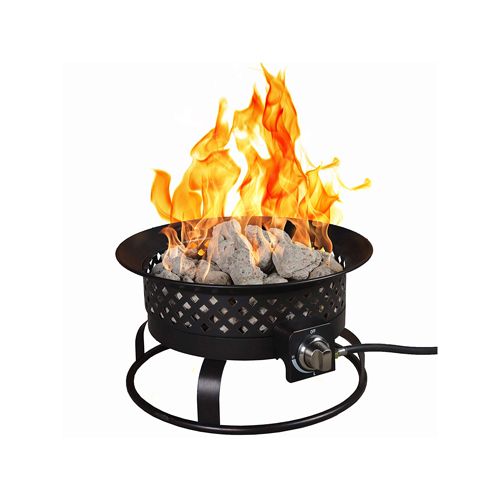 Its convenient size makes this firebowl great for your outdoor adventures, without sacrificing its heat output. 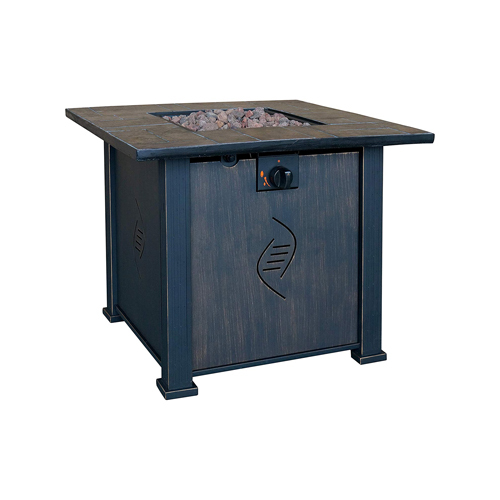 This unit packs a powerful 54,000 BTUs and is constructed of durable steel. Light up takes seconds, giving you and your family years of enjoyment. 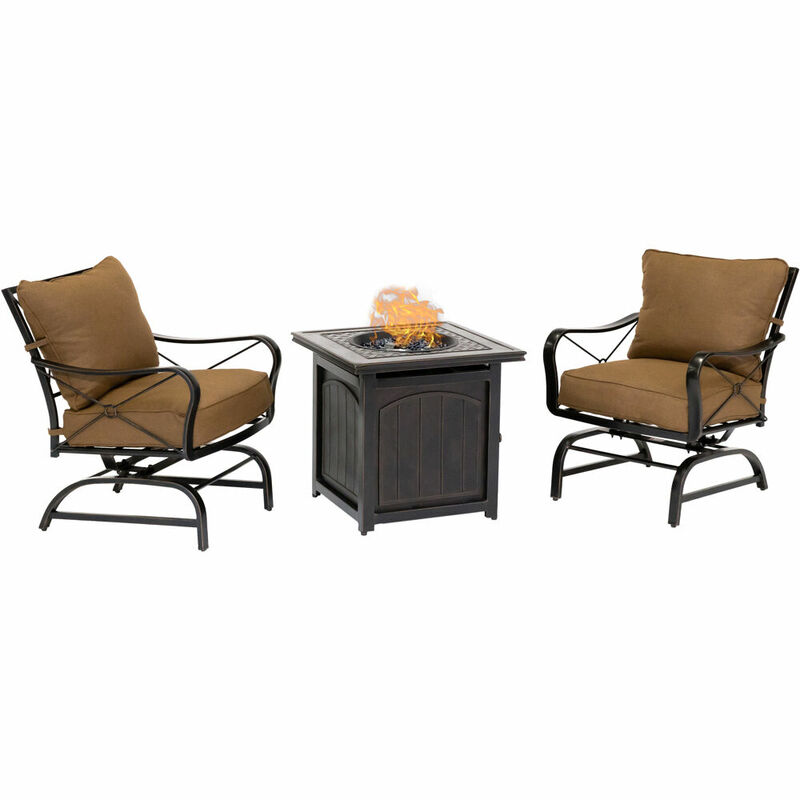 Unplug, relax and unwind in the comfort of your own backyard beside the Montini Gas Fire Table. 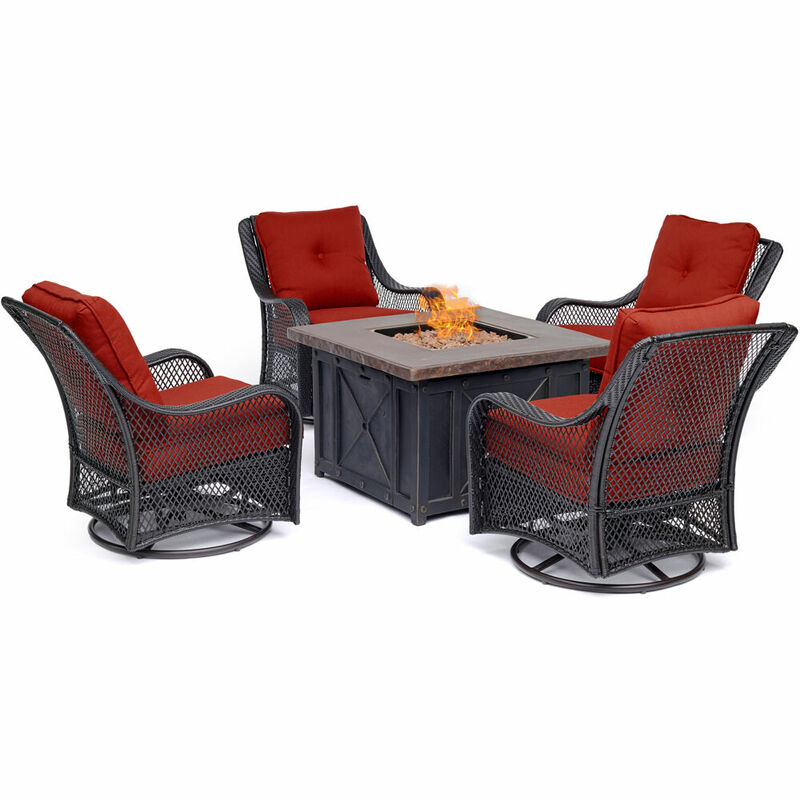 Your friends and family will fall in love with the warmth and comfort this fire table provides, as you entertain outdoors. 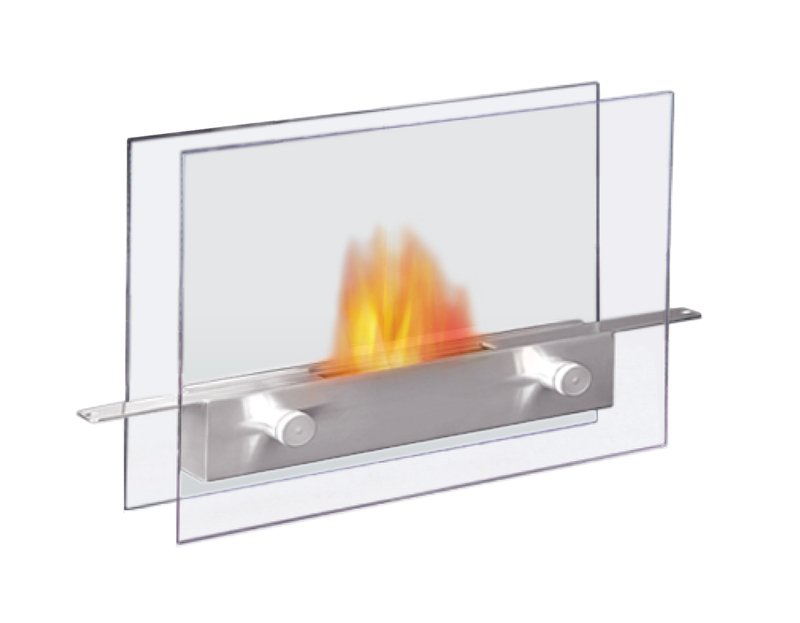 Lingering smoke is a thing of the past, since this table conveniently emits a clean burning flame with the snap of a button! 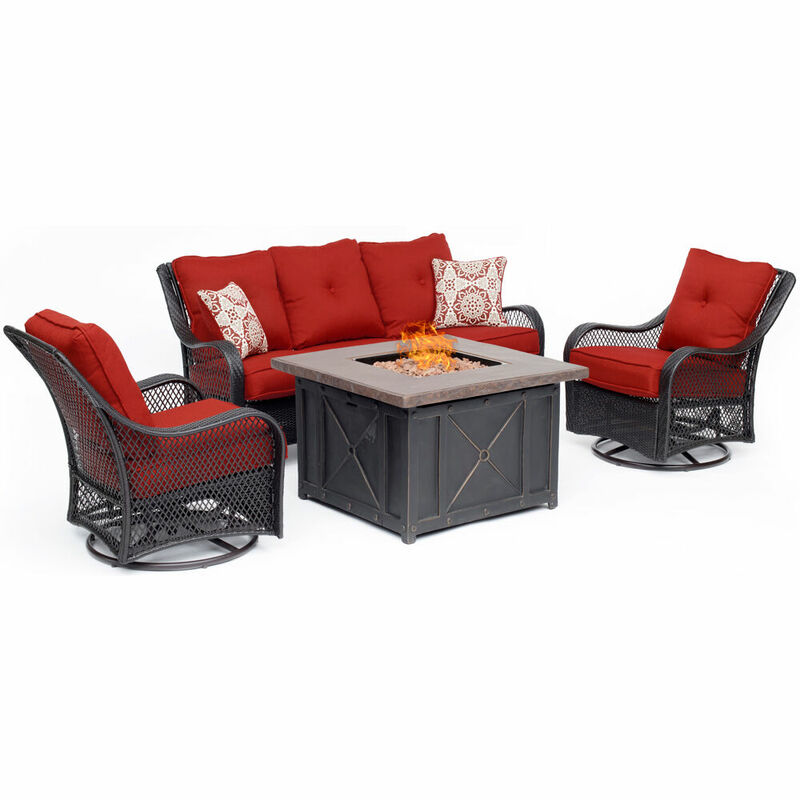 Throw the ultimate s�mores party, host an outdoor date-night, tell spooky stories around the flame, or just enjoy a good book beside this inviting centerpiece. Your outdoor fun is truly limitless. 50k BTU heat output provides warmth and light. 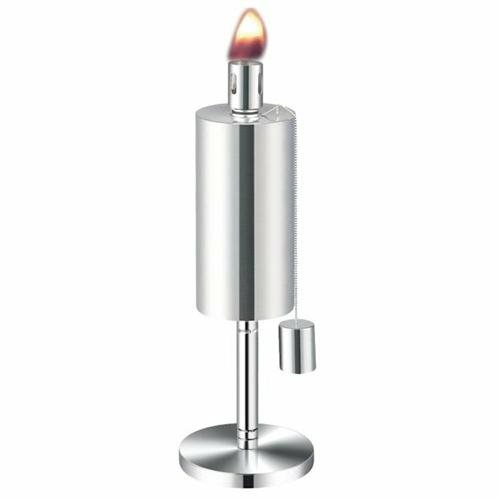 Pulse ignition allows easy lighting and extinguishing of the flame. Made of steel for outdoor use. Beautiful tile top is the perfect size for snacks and beverages. Fueled by an internal 20 lb. propane tank (sold separately). 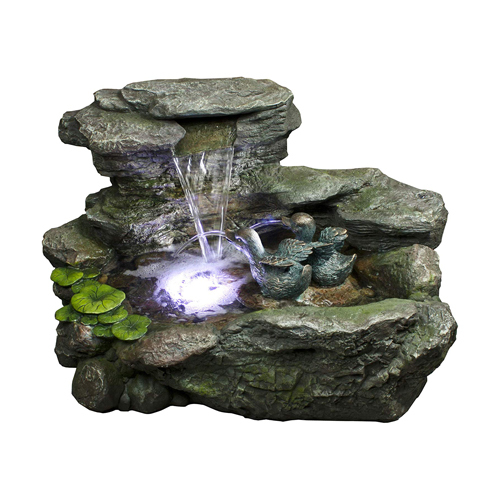 Add an enchanting touch to your outdoor area with the beautiful and lighted Gainesville Fountain. Its Envirostone construction gives the look and feel of real stone, without the backbreaking heavy weight. This whimsical centerpiece has been hand painted by our professional artisans, ensuring a truly unique fountain for your outdoor living area. When you need a break from the day, step into your own backyard and unwind to the sounds of water boasting throughout the Gainesville Fountain. 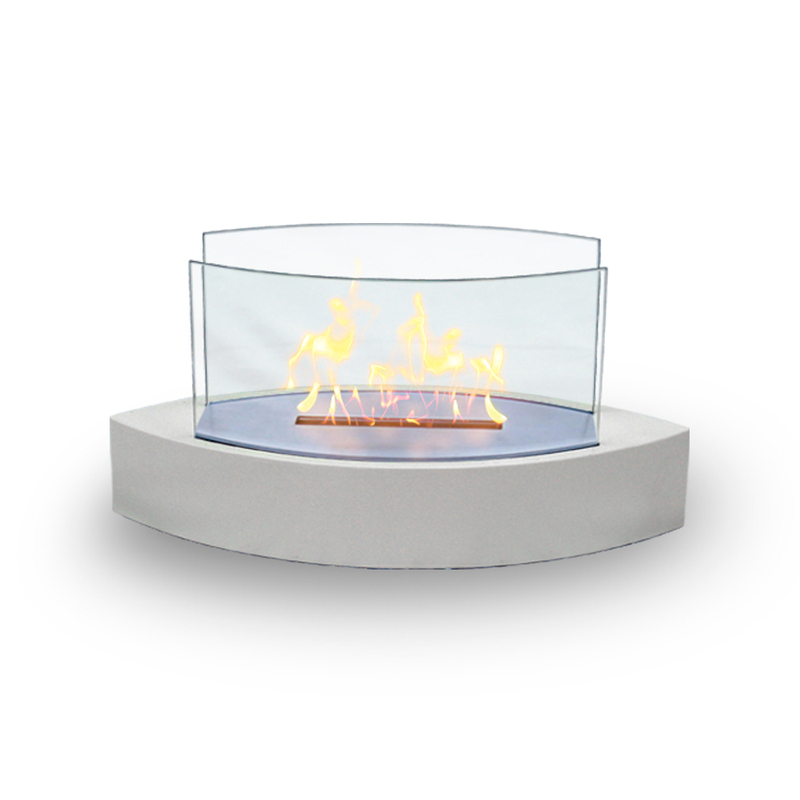 The Marbella Fire Table is an example of skilled workmanship. 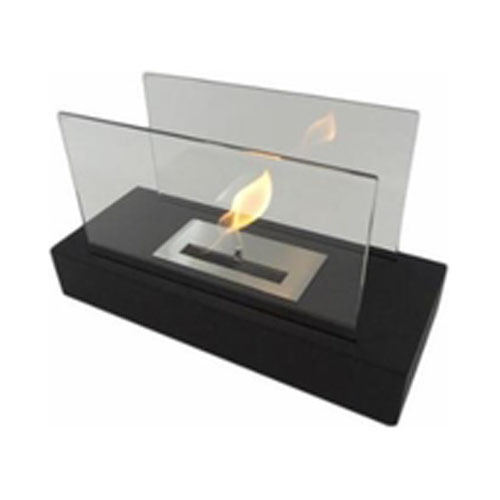 This decorative piece is beautiful yet functional and will offer you and your guests many evenings together in fire lit conversation. 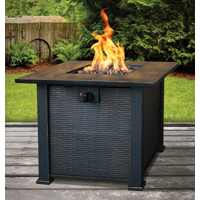 Whether you are working on the project alone, or with your family, the 35� Round Gas Fire Pit Kit makes building your own fire pit a breeze! Use the included Envirostone+ bricks to build your three-layered ring and feed the gas hose through the guided brick. 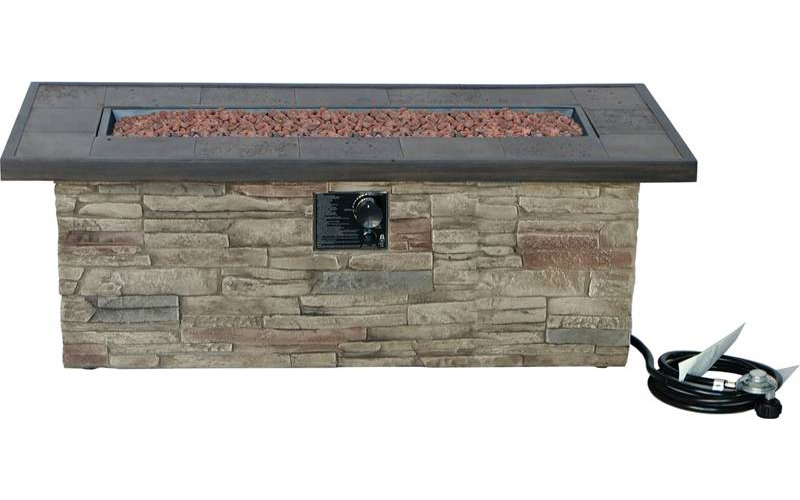 Next, place the fire pit insert into the structure, add your lava rocks and bust out the marshmallows. 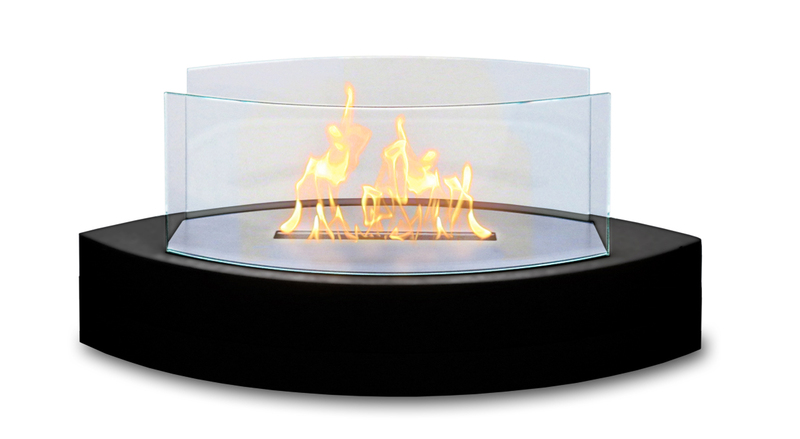 Enjoying a warm smokeless fire with your loved ones has never been better! 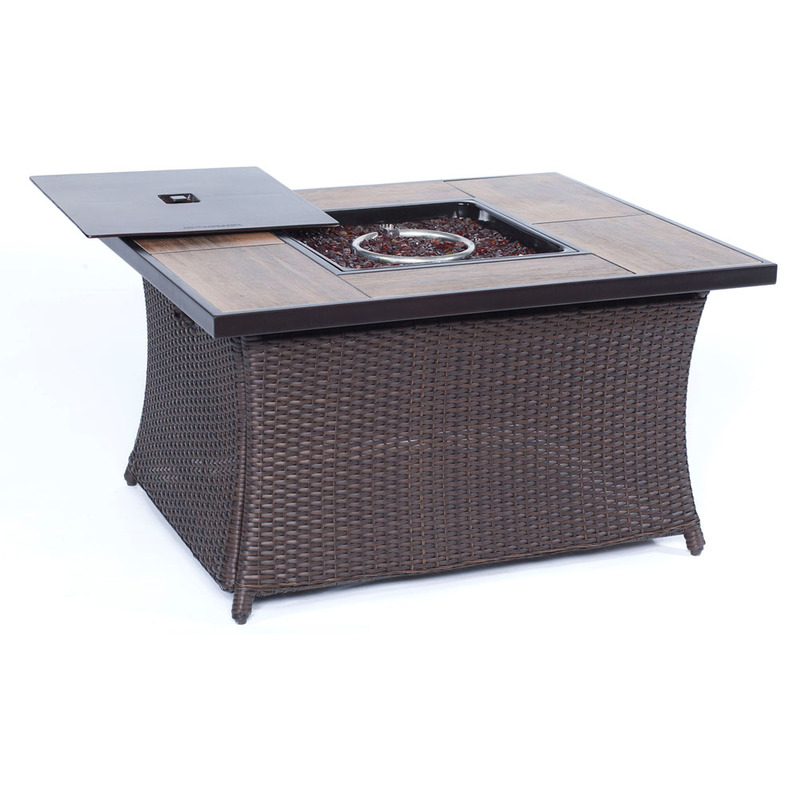 The charming, yet functional, Lari Gas Fire Table offers just what you need for the staycation you�ve been dreaming about. 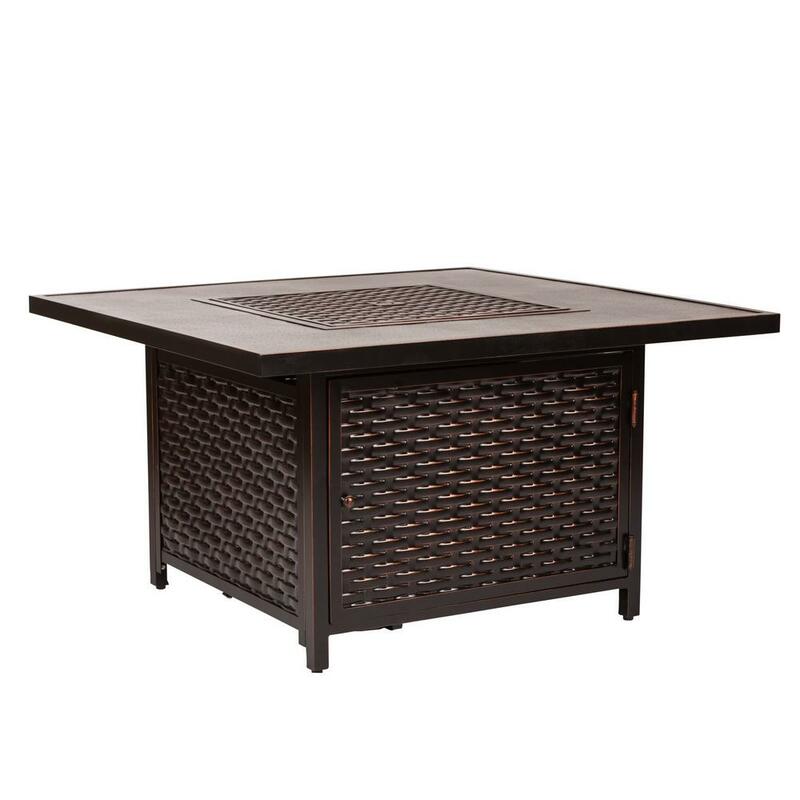 With a steel body and a lightweight Envirostone+ tabletop, this brushed bronze fire table pairs wonderfully with any patio dTcor. 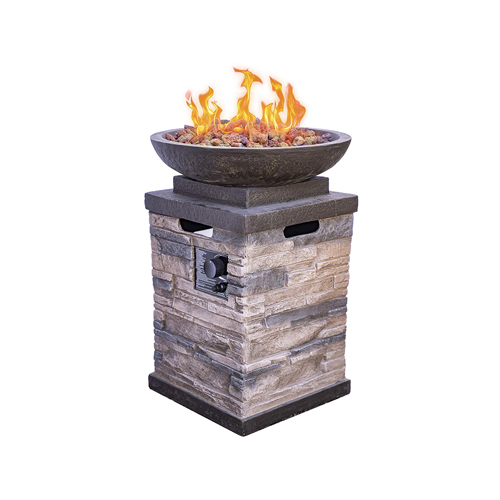 Setup is a breeze, simply add your lava rocks, connect the propane tank, light up and enjoy. You and your guests will take pleasure in relaxation amidst a smokeless dancing flame, all evening long. 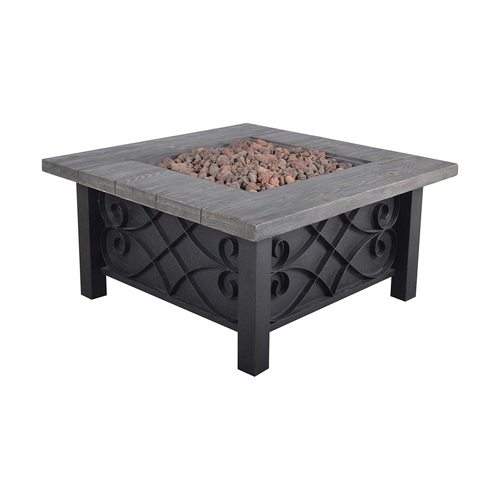 This fire pit table is built to last with a durable steel body and Envirostone Tabletop. 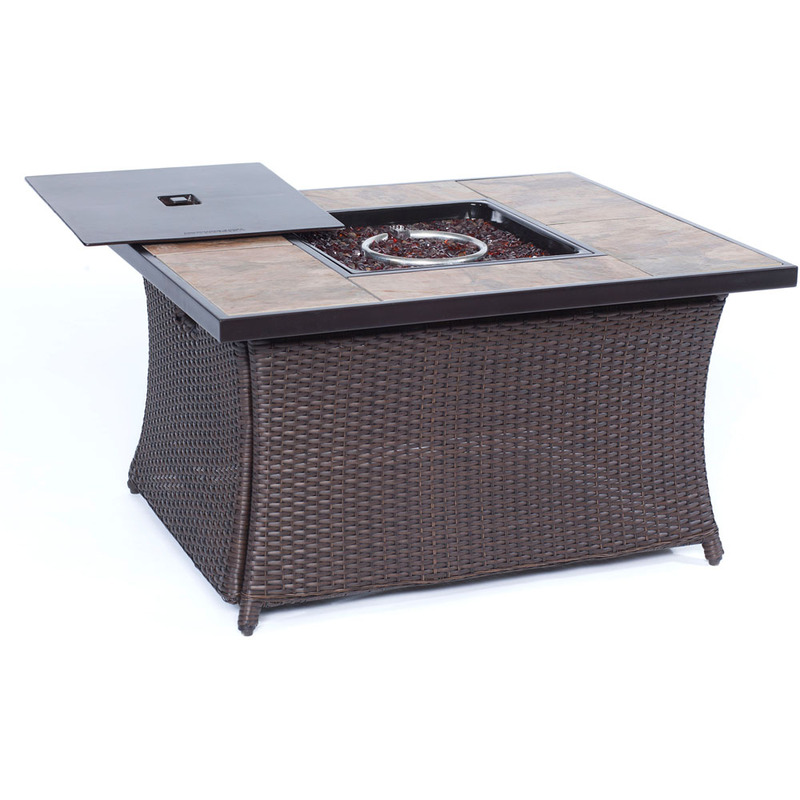 Fire pit is made to operate with a 20 pound propane tank (not included) that is hidden behind a large door underneath the table. 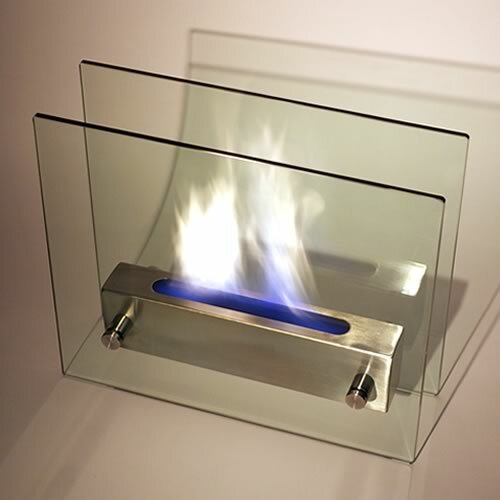 Easy to light the fire and control the amount of gas flow to give you the amount of heat you desire. 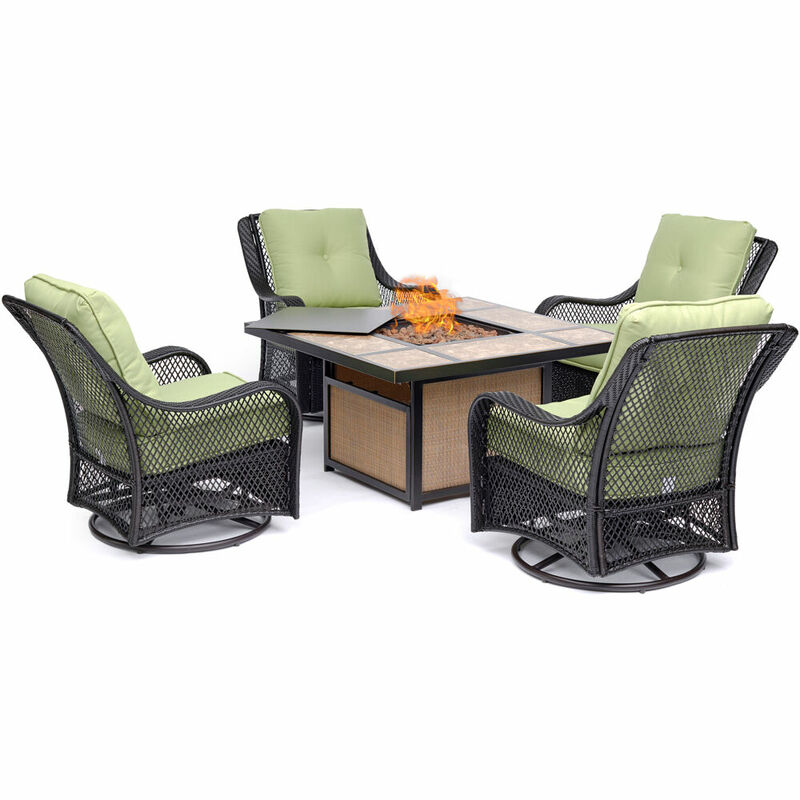 Transform your ordinary patio table into luxury within minutes! 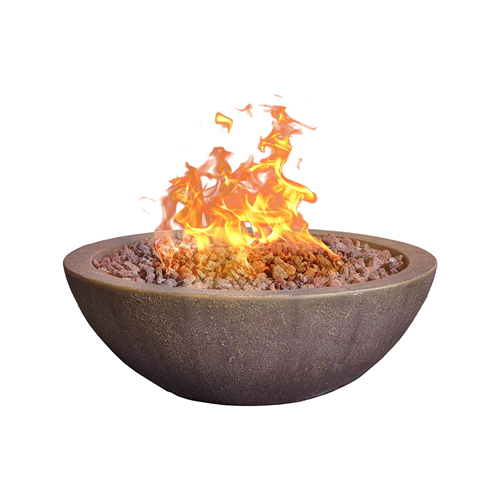 The Lara TableFire Firebowl is an easy and economical way to create a warm and inviting atmosphere outdoors. 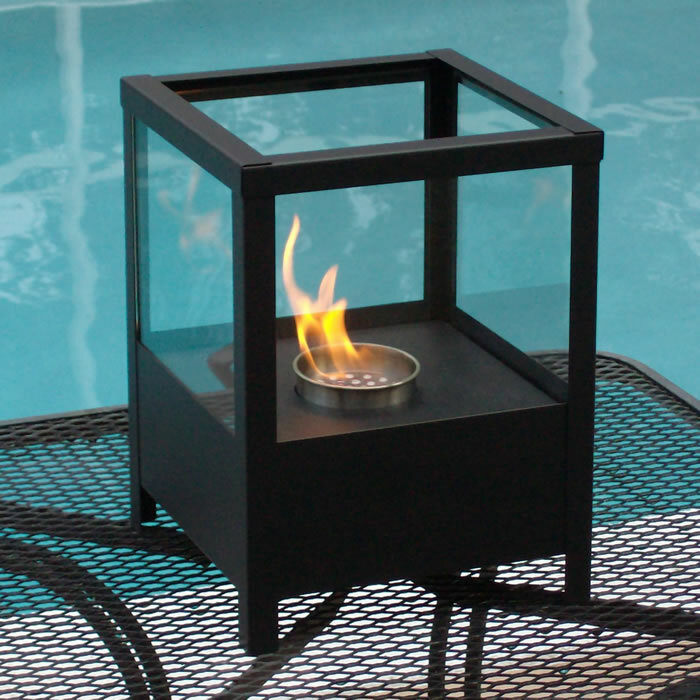 The unique design allows you to insert the firebowl through the existing umbrella hole on your patio table, while the propane tank safely sets underneath. 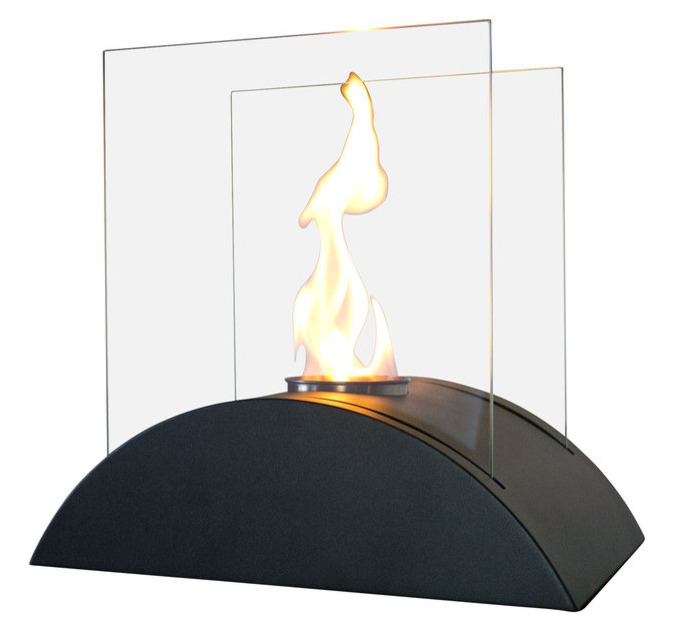 The attractive matte black finish beautifully compliments any outdoor setting, as the flame dances across a bed of luminous Amber Sunset LavaGlass+. 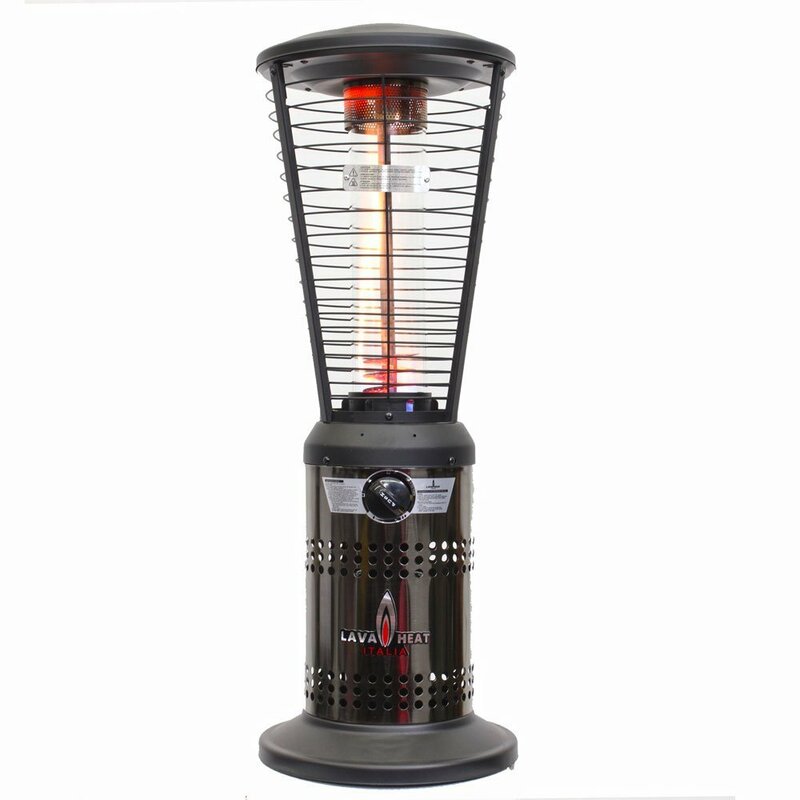 You and your guests will take pleasure in the powerful 25k BTUs of heat for hours on end.